The Christian faith is not mere ideas, not a series of facts or depictions of reality, no, it's more. It's alive, and burning brightly like a fire. It's not mere emotions either, there's daily practice to it, a true walking and living of it. Yet it is not about doing, but it is about believing, and not just a vague emotion or vacant assent to, but there is a deep, specific, clear set of concepts, fact and truths in which we yield our minds to. And at the center of these three areas of truth, feeling, and living, we find a person, the person, the God-man Jesus Christ. We're surprised a great deal, surprised by Him. Surprised from behind, by our love for Him. We're surprised by joy. Surprised by peace. Surprised by trials. And amazed by our own inability to come to know Him in our own efforts. We're amazed by our failure and amazed by the fact of our total dependency on Him for anything good to be in us. There are tears that flow. They flow deeply and meaningfully. There are truths, truths that run so deep, and cut through so many layers of society, of philosophy, of history, and deep into the mind. And joy in the knowing. Mysteries that God delights in revealing to us. There is a difficult practice, a fighting, a warring, a yielding to God. Orthodoxy, to know. Of course my favorite thing is to know. I love knowledge, I love wisdom. I love to study and learn. The greatest truths are to be discerned in the words of God. To know is to understand the world. To know is to understand what is wrong with the world. To know is to see the truth beyond all the lies and propaganda of our world. Christianity is paradox. The obvious answer of this world seems right, but then we realize the paradox, that it is not. We always have to think twice. Thinking once, the gut reaction leads us one way, then the second thought, well, that's where we realize the paradox. Jesus said, I am the light of the world. Jesus said I am the bread of life. Jesus said I am the resurrection and the life. Jesus said I am the good shepherd. He said I am the gate for the sheep. I am the true vine. I am the way, the truth, and the life. Without orthodoxy there is no Jesus, without Jesus' words, there is no Jesus. Without the Bible, there is no Jesus. Jesus is discovered in orthodoxy, in truth, and the knowing of it. Orthopathy, to feel. We are not mere machines, programmed with data. We do not simply assent ourselves to core truths, no matter how important they are, they are not the end. To know God is to feel Him. To know God is to feel His presence with us. To know God is to feel deeply the emotions of life, the joys, yes and the sorrows. Those first Christians, in the ancient Roman empire, doused in kerosene and set afire to light the streets of Rome, they felt the pain. Those first Christians, arrested by Nero, and sent to the lions, they felt the pain of their death. But perhaps they felt something else, as they saw the glory of the kingdom of God... they felt love. And joy. And peace. I long to feel God and to commune with God. But there is little communion with God in a vacuum, though the times I've felt him most deeply have been in times of personal prayer and meditation, turning my eyes to Jesus. But I feel God, when I serve God. I feel God, when I'm at work for God. I feel God when I preach the gospel. And God communicates to us through experience. 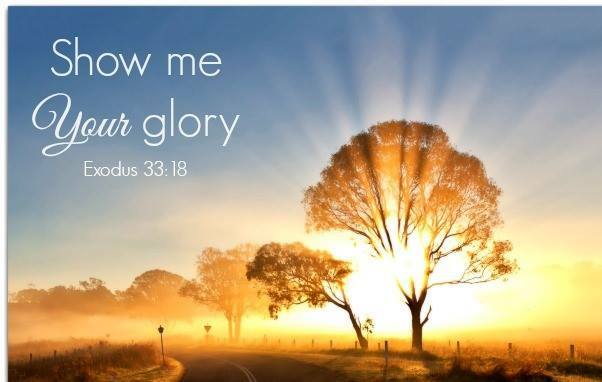 He speaks to us through the larger events of life. To experience God is what we are hoping for in this Christian life. To really have relationship with God is the goal. In daring to go deeper in emotion, do we find a new depth to our relationship with God. But emotion in a vacuum, with minimal truth or action, is a recipe for disaster, milquetoast therapeutic deism can result, or even prosperity gospel, or simply superficial Christianity, a cherry picking of feel good verses. Orthopraxy, to practice. Is being a follower of Jesus just on Sunday morning? No. Living it is the hard part, day in and day out. I suppose that's why I was drawn to Methodism, which emphasized the daily practice, a method of living differently. I want so badly to really live out my faith. I want to make sure it's real. I'm not messing around here being a Christian, I'm deadly serious about it, and I'm going to make the maximum impact for the kingdom of God. That's what it's about. I want to live it. I want to pray an hour a day. I want to faithfully attend a small group. I want to head over to Bible study. I want to ready my Bible, literally every night before bed! I want to witness faithfully for an hour a week to people I don't know. I want a real praxis. And I will do it. I will, God willing. 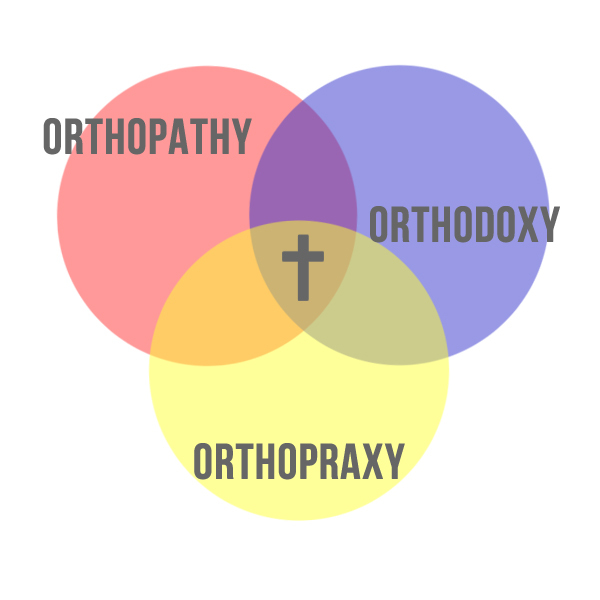 Orthodoxy, orthopathy, and orthopraxy. It all fits together, to form a true worldview that is functional in all areas of life and mind.